Georgia boots are perfect for the Cowboy or Cowgirl that needs the most in comfort and durability. Georgia has always been dedicated to making boots that will last through the toughest environments, and still look and feel great. 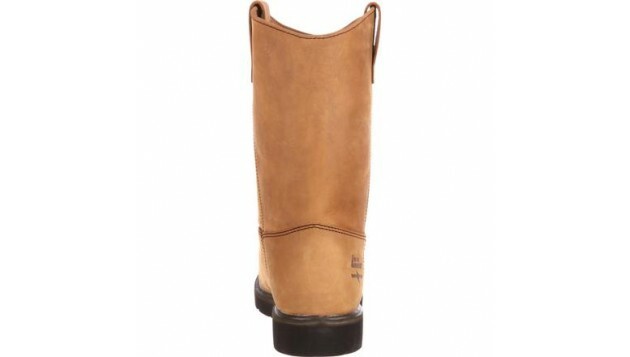 Georgia western style boots offer differing safety, and non safety toe boots, as well as excellent waterproof seals. Georgia boots are perfect for when you need to finish the job, and finish it right. 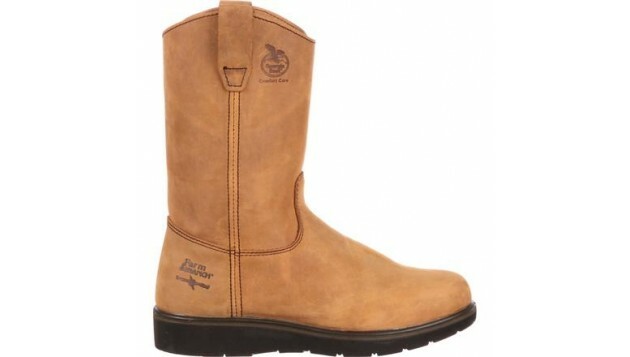 The Georgia Farm & Ranch Wellington CC Work Boot is a durable pull-on boot optimized to resist chemicals and remain comfortable. 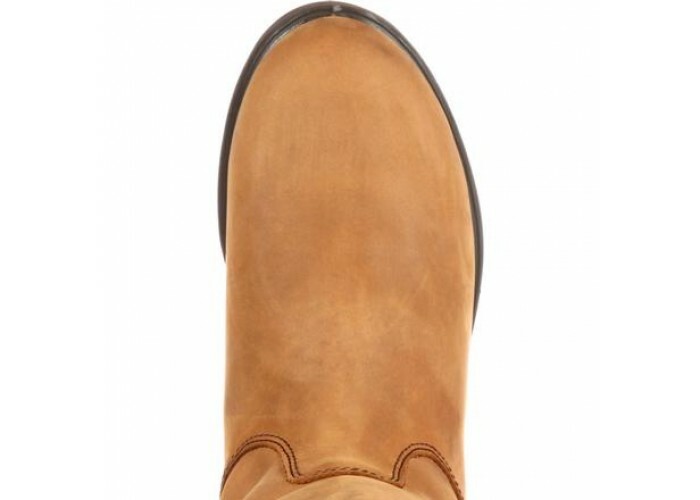 This boot is made with SPR™ leather. Compared to traditional leather, it is roughly 3 times as strong and resists abrasions 2.5 times as well. It offers better protection against barnyard and pasture chemicals. 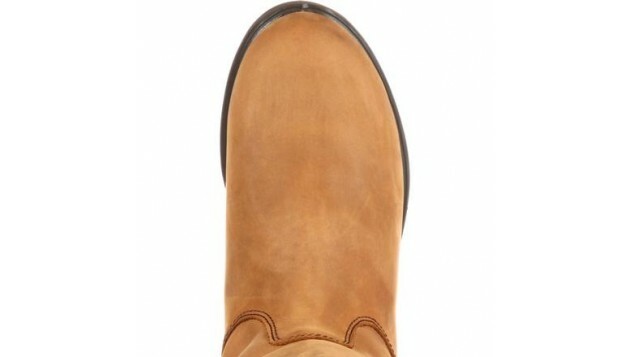 The sole of this boot is a direct-attached, dual-density, oil-resistant polyurethane "suspension wedge" outsole. This is one tough outsole. It resists chemicals, abrasions and oils, while remaining flexible and providing cushion for your feet. Additional comfort comes from the boot's steel shank. The natural flexibility and springiness of this shank provides arch support while offering puncture resistance. A patented Comfort Core footbed adds shock absorption in two key impact zones: the ball of the foot and the heel. It also features a layer of memory foam so the footbed is custom molded to your own foot. 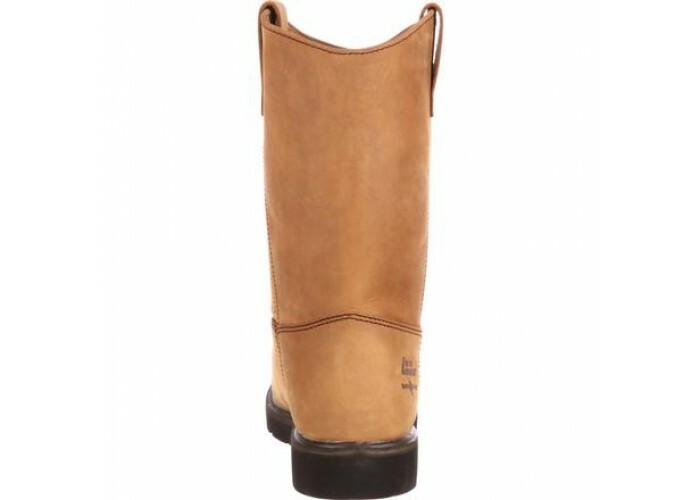 The Farm & Ranch Wellington also is fully lined with breathable moisture-wicking material so wearing these boots is no sweat. 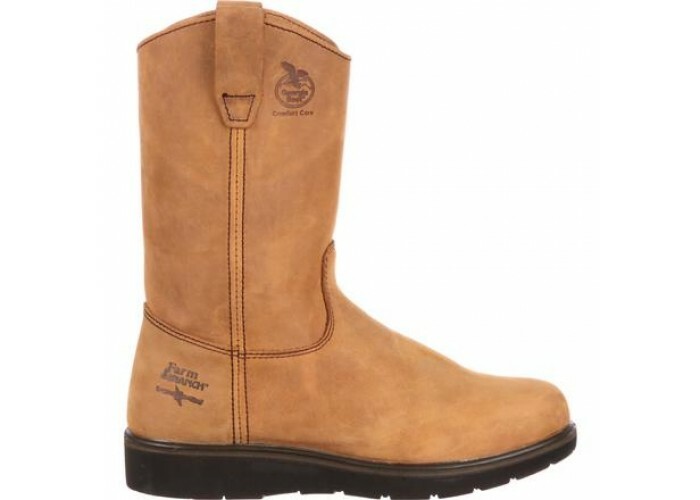 More than just chemical-resistant and comfortable, this boot has a smooth, quality design in a terrific Mississippi Tan. You'll want to pull on these round-toe 11 " boots - easy to do with pull straps. Not only does the wellington help you work hard, you'll look good doing it.